Car Rental Funchal Airport, Portugal | Best Rates On Quality Hire Cars! Aside from being the capital of the Autonomous Region of Madeira in Portugal, Funchal is also one of the primary ports for cruise liner dockings here in Portugal. In fact, one of the main ways to reach this subtropical climate city is through its port. At any time of the day, there are many cruise ships, ferries, and tourist boats and yachts running to and from Funchal. Flights to Funchal arrive at the Funchal Airport, located in the municipality of Santa Cruz. From the airport, exploring the city will be much easier if you have a car hire waiting for you at Funchal Airport. It is recommended that you book a car hire agency before going to Funchal, so that by the time you arrive, your car will be waiting for you. Although the city can also be explored by foot, Funchal also has great neighboring towns that you would want to explore too. As one of Portugal’s main tourist town, Funchal has a lot to offer in terms of natural wonders, religious history, and gustatory delight. About 5 kilometers from the downtown area of Funchal is the Jardins Do Palheiro or the Quinta do Palheiro Ferreiro Park. A private British manor surrounded by a series of beautiful gardens, there is a public park that allows you a delightful view of tropical plants from all around the world and a rioting color of blossoming flowers scattered among the area. There are several gardens in Jardins Do Palheiro which include the Sunken Garden, Rose Garden, French Garden, and Ladies Garden. A visit to the park won’t be complete without going to the infamous Tea House for some tea, cakes, and pastries. As there are more tourists in the morning, it’s best that you visit Jardins Do Palheiro in the afternoon for a more laid-back experience. The Madeira Botanical Gardens is also another must-see site when in Funchal. You don’t want to miss the more than 2000 plant species on the hillside garden as well as fair feathered creatures like parrots and parakeets. Funchal also has religious sites that you can explore. A few of the most notable religious go-to are Colegio Church, Santa Clara Convent, and the Sé Cathedral. The Santa Clara Convent was built during the 15th century, and is now considered a national monument. The Sé Cathedral on the other hand is one of the most frequented monuments in Funchal made notable for its local wood ceiling. All these attractions in Funchal can be easily reached by using a car hire agency of your choice. Make sure that you make the reservations before you travel. Of course, a visit to Funchal won’t be complete without immersing in the local culture of the city. One activity that could give you a taste of the local lifestyle is a visit to the Mercado dos Lavradores, located in downtown Funchal. From local fresh produce like fruits and vegetables to fish to local delis. There are also snack bars and coffee shops within the market, so you might want to sample their treats too! Local cuisine is dominated by fresh seafood, vegetables and fruits. Codfish is a local staple that you have to get a piece of. Codfish recipes such as bacalhau and bacalhau con natas are a must-try. The same goes for the espada com banana, a local delicacy made of scabbard fish with some bananas. Make sure that before you leave Funchal, you’ll bring back wine and fruits, but be sure to check with the local airline if it’s permissible. 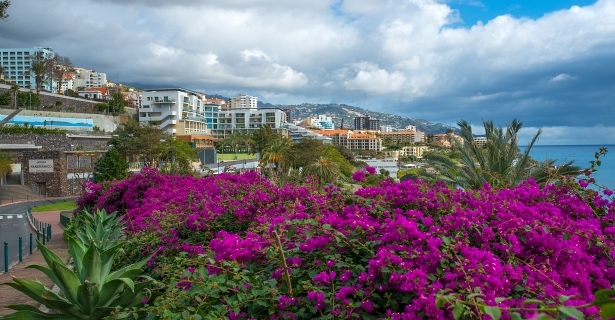 Funchal is a haven for relaxation, good food, and great time! When planning to visit this idyllic paradise, make sure to hire a car so you can roam around the city and its neighboring town more comfortably!